Simple, Visual, Actionable Metrics so your business can improve! Peakboard provides you a cost effective way for you to get the data you need to optimise and drive your business forward. No need to dig through complex sets of data. No need to have your workforce writing reports and spending time updating figures. Peakboard takes care of everything for you automatically and presents it to you in a clear readable fashion so you can spend more time on optimising your business. With Peakboard designer no coding, design or professional knowledge is required. Simply select where you would like the data to come from, the type of graph your data will be formatted in and you’re away to go. Peakboard’s Customer Design software is so simple to use that almost anyone can do it. There will be no long waiting time when someone from the Production Line calls I.T. to make a modification to the system. This can all be done on the fly using Peakboard’s design software and instantly uploaded to the Peakboard box with one click. Connect the Peakboard Box to any size of screen – it doesn’t make any difference if it has a 7-inch display or one the size of a stadium. The data connection is made via cable or Wi-Fi. 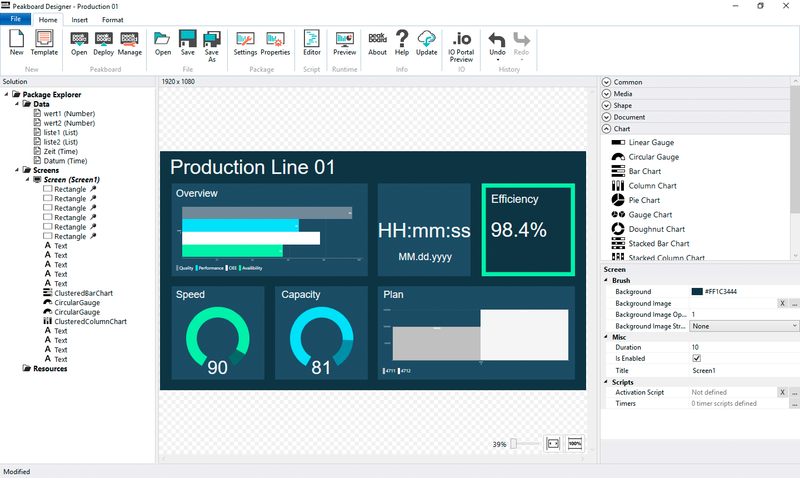 Start the Peakboard Designer on your PC and create your own individual and dynamic visualisation directly linked to your product management system, SAP, Excel, SQL or any other common system. 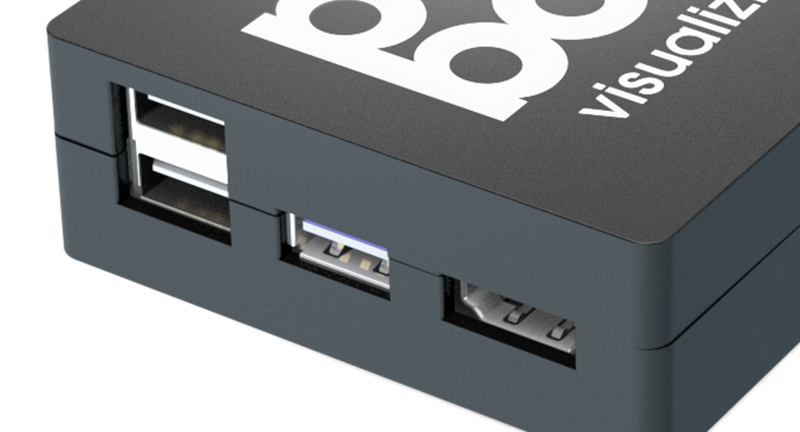 Transmit your design via WLAN to the Peakboard Box with everything you need – images, videos, data sources, charts, and logic. 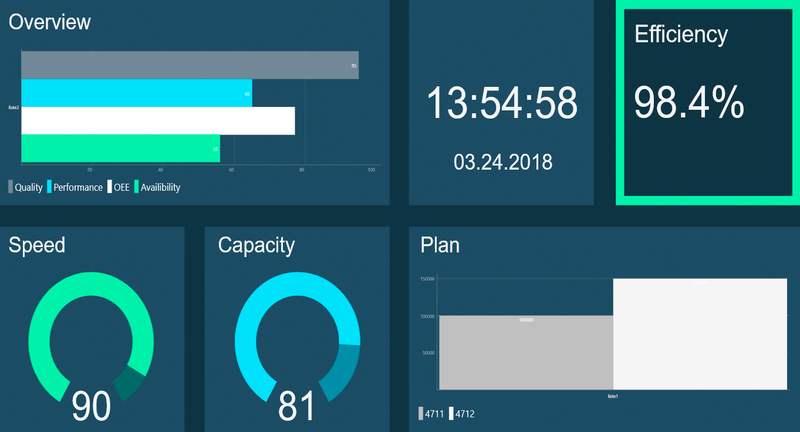 See how Peakboard displays your finished visualisation on the screen, impresses customers, informs employees, and optimises processes – without a central server, without a cloud, without deviations, and completely self-sufficient. 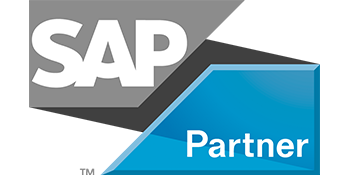 Peakboard is officially partners with SAP and is SAP Certified. However Peakboard still works with other platforms and systems and isn’t SAP Exclusive.